If you decide to make the motor, you will need an accurate calculation of the characteristics of his work. After all, this will depend on whether he will be able to perform their functions or not. 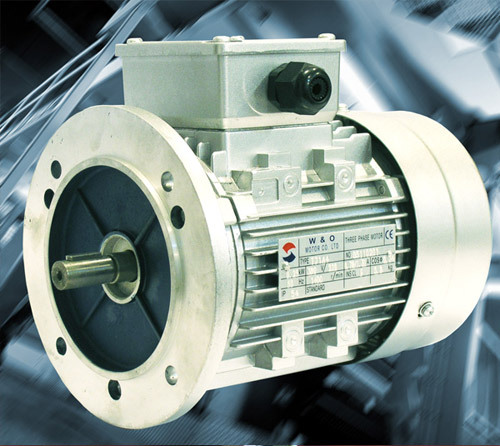 Identify the main dimensions of the motor, that is, the length of the rotor and its diameter. Then calculate perforated layer, that is, the size of teeth and grooves. Determine the winding data, that is, how many turns present in the coil and what is the diameter of the wire. Calculate the magnetic fluxes and the main induction in the parts of the rotor and stator. If you plan to manufacture the collector machine, you will need to determine the size of reservoir, number and size of brushes. Determine the power loss that will occur inside the motor. In devices of small capacity calculation is performed on the basis of the strength of the bearings, manifold and shaft. If you produce a complete and accurate calculate, you will need to do so - it will need a shared notebook. However, you can do simplified calculations, which include determination of the size of the magnetic core and the receiving winding data. All other measurements and calculations can be avoided, since the solution of physical tasks do not need to strive for completely accurate data. For example, the engine will not be exposed to excessive heat, so no thermal calculations you can do. Thus, the manufacture of the motor is quite possible, provided that you have at least basic knowledge in physics and electrical engineering. Study in detail the issue, conduct the necessary calculations and try to collect his first engine.